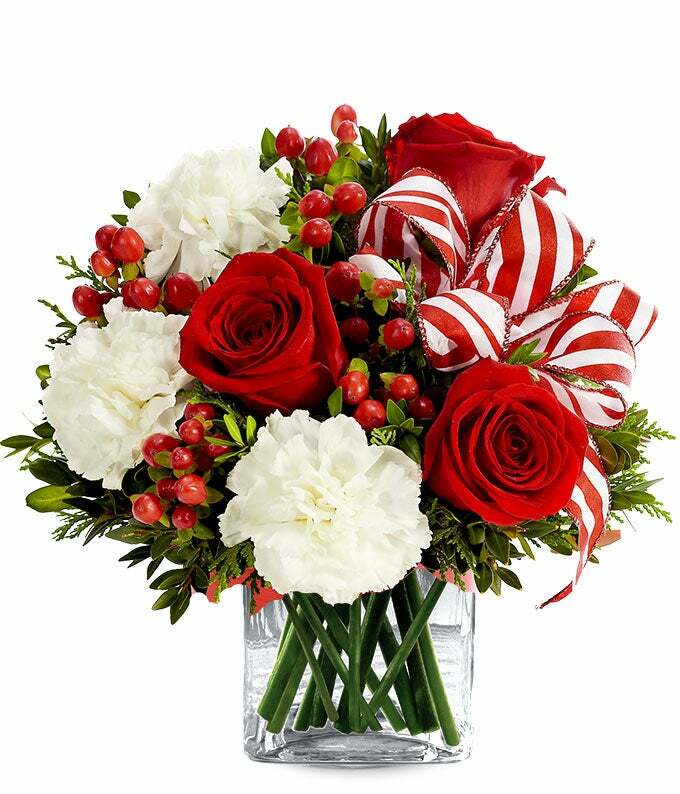 Get your recipient into the spirit of the season with the Peppermint Flower Surprise. Red roses and white carnations along with red hypericum berries and arranged in a red garden planter. A red and white ribbon tops off the bouquet for a truly seasonal gift.